When it comes to eCommerce, though, those top-tier shopping days are the reason for the season. Not only are they among the biggest shopping days of the year, but Forbes is predicting that Cyber Monday 2016 will be the largest online shopping day in history with $3.36 billion in sales, all online. The term “cyber monday” was first heard in 2005, when most people could only access to high-speed internet at work and so waited until after the weekend to do their online shopping. 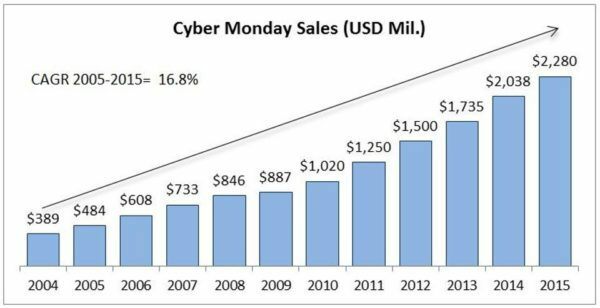 After ten years, though, Cyber Monday now rivals Black Friday, which sees a decline in brick-and-mortar store sales and an increase in online sales. Not that Black Friday is losing its clout. The Friday after Thanksgiving is actually the second-place holder as largest online shopping day, having brought in $2.74 billion in online sales last year, compared to Cyber Monday’s $3.07 billion. Thanksgiving day itself also sees a rise in online shopping, especially since more stores are now closing their physical doors in response to sentiments that the shopping is stealing the limelight of the holiday. Then there’s “Bounceback Tuesday,” the day following Cyber Monday, in which online retailers collectively saw 159% more sales than average shopping days. Put that all together and you have a major online shopping period of almost a week that could make or break your end-or-the-year predictions. All of which begs the question… is your eCommerce store ready? It’s not too late to implement some last-minute strategies for making the most out of the Nov. 24 – Nov. 29 online shopping frenzy. Here are our four best tips to keep you prepared for this eCommerce holiday. Part of the success of Cyber Monday is that customers worldwide know eCommerce stores are going to be offering deals. 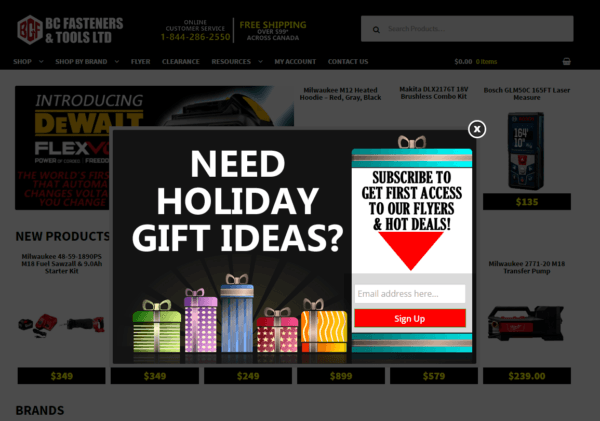 Let your customers know you’re participating by prominently advertising your deals. The more noticeable they are, the more important they’ll seem to shoppers. The most obvious and popular option is the homepage banner. This is traditionally where sites put their most important content, so announcing the details of your Cyber Monday deals here will both tell your shoppers what they need to know, and demonstrate that your company also considers these deals important. If you want to go even bigger, a modal or pop-up window will attract more attention, especially is they require clicking to deactivate. These stop the rest of the site so the customer knows the what and the when of your Thanksgiving weekend sales. If, however, you want something more subtle, try a notification bar — those isolated message bars at the top of the screen, above the header menu. While typically used for secondary offers like free shipping, these bars can still help get the word out about your sales, without commandeering too much of your shopper’s attention. How frustrating is it when, after a long session of comparison shopping, you find that the product you’ve finally settled on is “out of stock.” Never is this more of a danger than the Cyber Monday weekend, when both the demand and the stakes are highest. Even heavy-hitters like Target are not immune — on Cyber Monday last year, 13% of their product views showed an out-of-stock message. Luckily, you can avoid this disaster with a little foresight. Stock up your inventory ahead of time, and give yourself extra padding for best-sellers and whatever items you’re promoting with sales. It’s been more than two years since mobile browsing surpassed desktop browsing, but you wouldn’t know it by the looks of many popular site designs. A Think with Google study revealed just how much today’s eCommerce landscape revolves around mobile: 67% of people use multiple screens sequentially when online shopping. Chances are, most of your customers will use your mobile site at some point on Cyber Monday. 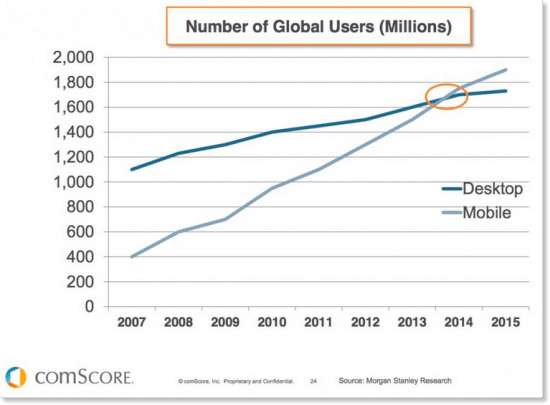 So what happens if your mobile site is underwhelming? After a bad mobile experience, 40% of shoppers will go straight to your competitor’s site. That means companies with bad mobile sites will actually lose customers over Cyber Monday instead of gaining them. Mobile optimization is a heavy topic, so read our previous article How to Optimize Your Site for Mobile for a complete treatment. If your mobile site is desperate for a makeover and you need to fix it before Thanksgiving, our article about the WPtouch plugin can help in a pinch. 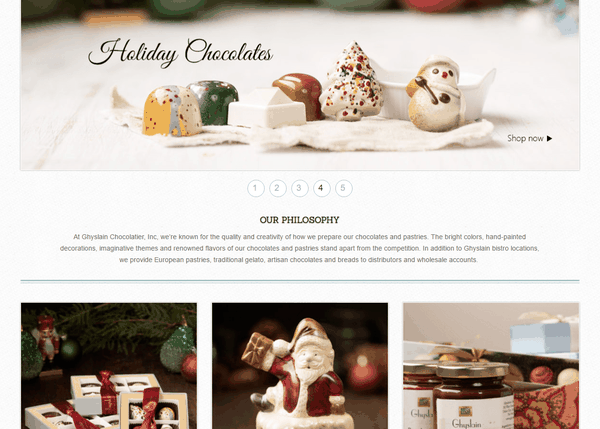 Last, modify your content strategy to reflect the season. Posting the right type of content at the right time can not only generate more traffic, but also introduce your brand to new customers by helping them in their time of need. Considering that most people already have shopping on their minds, gifts guides are a smart choice in general. A lot of people across many different demographics have difficulty deciding which gifts to buy for their friends and family. A well-written gift guide answers their questions, establishes your brand as an expert on the topic, and lets you promote your products. For social media, don’t forget that product videos are one of the most effective eCommerce tools. Featuring them will boost sales not just for Cyber Monday, but the whole year round. Cyber Monday may be the most important day in the eCommerce industry, but don’t let that scare you. Your site doesn’t need to be perfect to make a good impression; it just needs a little bit of planning and preparation. It’s not too late the put the finishing touches on your site — follow our tips here and by Thanksgiving weekend, you’ll be grateful. What do you think of these tips? Do you have your own Cyber Monday “traditions”? Share them in the comments now.